Join us to build total body strength while burning calories, and stretching the major muscles groups. You will be added to a private Facebook group (if you do not have Facebook videos can be emailed). One body weight exercise video and one stretch/yoga pose will be posted each morning Mon-Fri. Track your exercise reps and email results on Fridays. WIN by increasing reps by the biggest %. Winner gets $75. Runner up gets $50. Sign up here by 4/21. Join us for a free barre class with Tiffanie. Work your entire body while tightening the glutes and abs, and burning calories. Feel free to bring a friend! Suitable for all levels. Deepen your yoga practice by learning advancements to your favorite yoga poses. Suitable for intermediate/advanced students. *Pre-payment and pre-registration required. * Sign up here. Fitness is about more than your body. Wellness is about more than your health. It's time to condition your mind, body and spirit. It's time to focus on you. View Our New Spring Schedule! 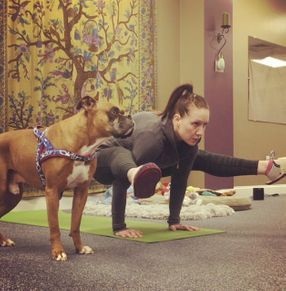 Our Personal Training/Private Yoga special continues! Sessions must be prepaid and used in consecutive weeks. Make time for you!! Sign up here. *Beginners Special* - 4 sessions with Melissa only $200. Sign up here. 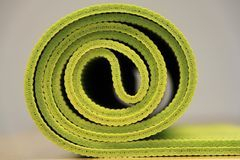 Please bring a yoga mat to class. Click here for my favorite! Find my favorite yoga clothes here!